You know social media is public, right? 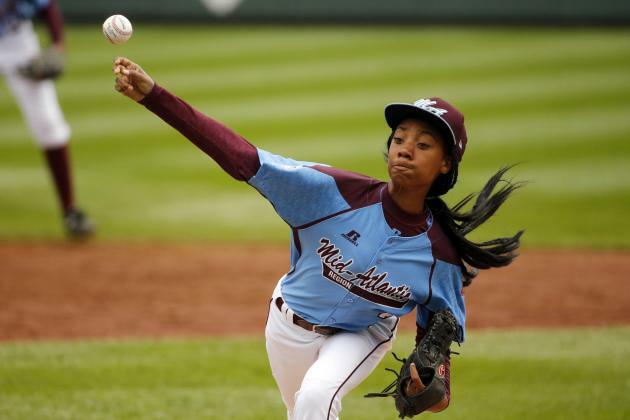 Last year America met the amazing Mo’ne Davis during the Little League World Series. As guest poster William Nikosey of kwittken+company told us, she later single-handedly won the World Series of Brands (not a real thing) for Chrysler. That’s her on the cover of Sports Illustrated playing fast-pitch baseball in the LLWS, where she became the first girl to pitch a shutout and win a game in the all-boys festival. Her Philadelphia Taney Dragons eventually lost to Nevada, but her winning spirit and nasty slider became the fodder for morning network news everywhere. Recently, Disney came out letting everyone know its latest biopic muse will be her. “Mo’ne is not only a topnotch athlete in three different sports — baseball, basketball and soccer — but she is an exemplary student and someone who will remind our audiences that they can do anything with hard work, dedication and belief in themselves,” said Naketha Mattocks, VP of original movies for Disney Channels. Meet Joey Casselberry, second baseman of the regaled Bloomsburg University Huskies. Haven’t heard of them? Well, don’t feel bad. Joey has done something about that…and it involves Mo’ne Davis. That’s a college junior calling a 14-year-old girl a name that we won’t reprint here. Bloomsburg Univ is deeply saddened by what was written about #MoneDavis by one of our student-athletes. His words do not represent us. Moral of the story: Just because you got away from Twitter doesn’t mean Twitter is done with you. Thankfully, that’s the case with Mr. Casselberry. UPDATE: Ms. Davis herself now tells ESPN that the man deserves a second chance. Class act.